Spitfire Mk. XVI’s of 667 Squadron over Portsmouth Dockyard. 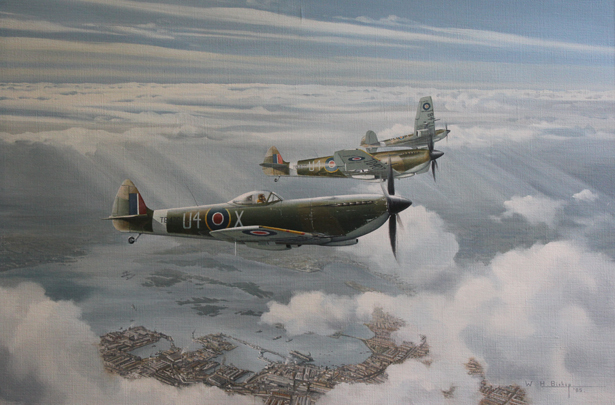 The nearest aircraft was flown by Norman Tickner, a fellow Spitfire pilot friend of the artists Father.